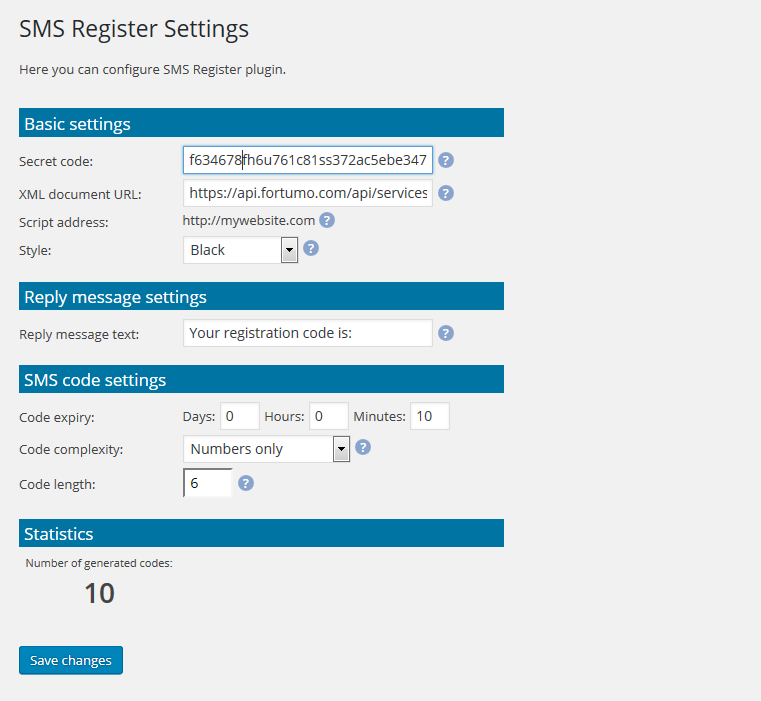 SMS Register is WordPress plugin for monetising user registration. If a visitor want to register account on your WP website, he needs to send SMS message following displayed instructions. After that, he will get reply message containing code he needs to enter to apropriate field in registration form. Now supports BuddyPress and UltimateMember! 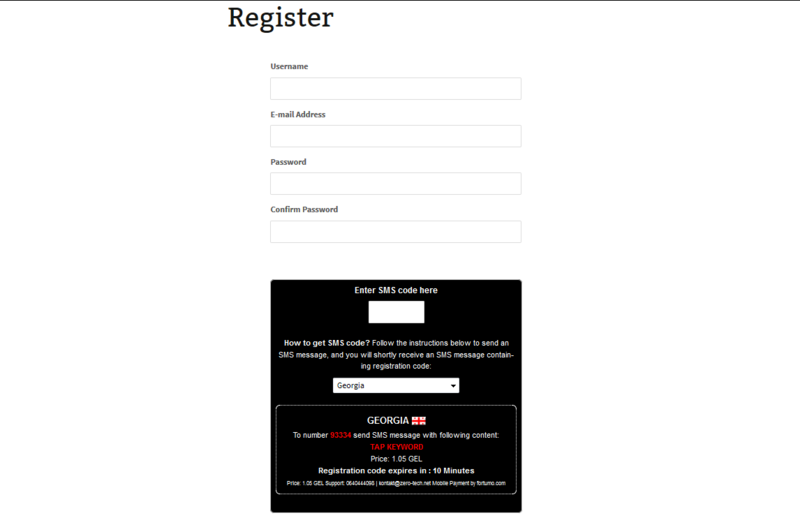 You can charge registration for your BuddyPress/UltimateMember members. Plugin will recognize if BuddyPress/UltimateMember is active and it will add necessary field to BP/UM registration form. You also can change the style of SMS Register field and SMS sending instructions on BuddyPress/UltimateMember registration page. Check this video to see how this plugin works on BuddyPress registration page. IMPORTANT: Since recently, people from Macedonia, Serbia, Bosnia and Herzegovina, Croatia, Albania and Romania can’t create Premium SMS API service on Fortumo, so that makes this plugin useless for you. However, you can try to create new account using proxy or different IP (that is not from one of the listed countries). 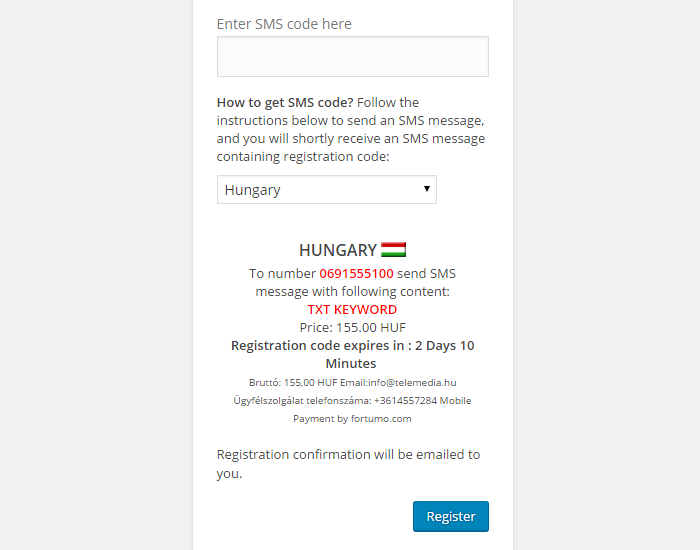 IMPORTANT:If you want to offer services to users in Croatia (with this plugin), it is possible that your service won’t be approved in that country (because, since recently, Croatian operators banned all content related SMS services through Fortumo). This plugin works with BuddyPress and UltimateMember plugins.